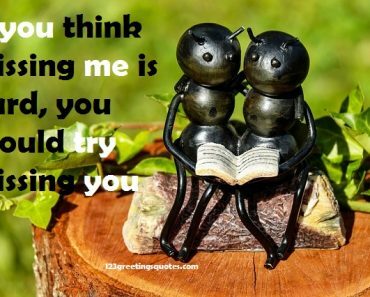 Motivational Quotes For Long Distance Relationships are here to inspire and motivate you and encourage you to move forward in your love. Surviving A Long Distance Relationship. 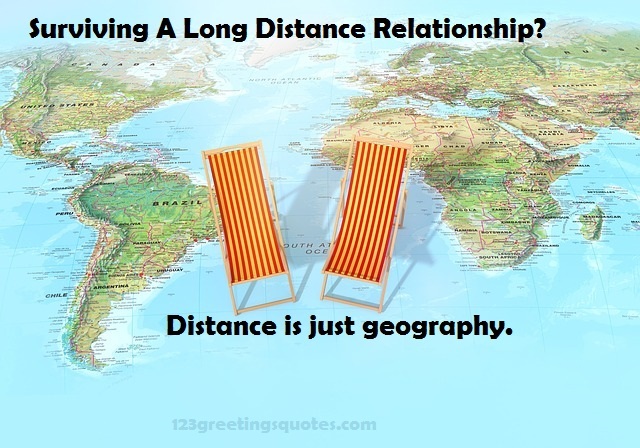 Distance is just geography. Maintaining a sound relationship with both partners nearby can be hard enough, how much more if they are a thousand miles away from each other. However difficult though, it is not impossible at all. With all the modern technology available nowadays, you won’t really have to feel that far from your partner if you are both equally committed to each other. There are a lot of ways in surviving a long distance relationship. Each of you must agree to close in on the gap. Regardless if your partner is on the other side of the planet, you can always choose to forget that fact by constantly keeping in touch. Make sure you know what you can expect from each other and what each one is willing to give. Surviving a long distance relationship involves unconditional trust – no ifs, no buts. Honesty works wonders. Sometimes it is the only thing that people need in order to make their relationship work. If you throw baseless accusations or unreasonable doubts to your partner, your commitment is basically useless. It is best to be open to each other. Sharing information like events that happen and people you meet is a good way to make your partner feel that you are close by. Being romantic is necessary not only to the sentimental schmucks but to those who are indifferent as well. Even if your partner is not the romantic type of guy, he will most likely be happy with a written note than a text message from you. Traveling the extra mile is important in surviving a long distance relationship. Don’t settle with emails or other high tech forms of messaging. Use the slow mail as well. 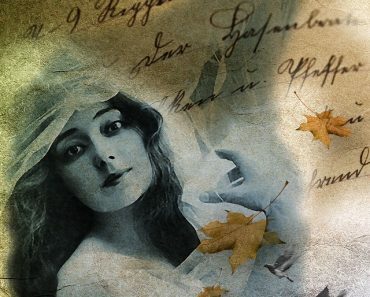 Even a hurriedly scribbled letter is worth more than a page-long email. Surviving a long distance relationship does not mean you have to exchange mails till the world comes to an end. Be sure you set a limit on how long you are going to stay apart. Do not let each other hang on till eternity. You might be spending all your lives writing letters and paying high phone bills. Make the wait bearable by looking forward to the time that you will be reunited. If love is there, surviving a long distance relationship shouldn’t be that difficult. The real kind of love conquers fears, doubts, and makes everything possible. So if you think you’re partner is worth the wait, distance should never be an obstacle. Goodnight, hope to meet up with you in my dreams. Love knows not its depth, till the hour of separation has arrived. The longer you wait for something. The more you appreciate it when you get it. Because anything worth having is always worth the wait. “Sometimes you have to be apart from the people you love, but that doesn’t make you love them any less. Sometimes you love them more.” -Nicholas. Everybody deserves somebody who makes them look forward to tomorrow. Nobody ever seems to understand We’re miles apart but we’re holding hands ― Zach Ashton (songwriter), Zach Ashton (songwriter)’s Book But I must admit, I miss you quite terribly. The world is too quiet without you nearby– Lemony Snicket True love doesn’t mean being inseparable; it means being separated and nothing changes. If the only place where I could see you was in my dreams, I’d sleep forever. Love will travel as far as you let it. It has no limits. – Dee King Long distance relationships are living proof that love is not just physical. I can feel you next to me even when you’re thousands of miles away. The easiest part was falling in love with you. The hardest part is being away from you. The thought of being with you tomorrow gives me the strength to go on today. We will survive through this distance. I wish I were kissing you instead of missing you. Forget all the reasons why it won’t work and believe the one reason why it will. The longer the wait, the sweeter the kiss. What is love? In math: an equation; in history: a war; in chemistry: a reaction; in art: a heart; in me: YOU even you are at a distance. Love is a language spoken by everyone but understood only by the heart.We are far a part but our hearts always together. In a long distance relationship your love is tested & doubted every day, but you still prove to each other that it’s worth it. That is what makes the relationship so special.long distance love relationship.